It’s Never Too Early to Start Spring Cleaning! When refreshing spring weather begins to roll in, wouldn’t you rather be outside enjoying it, rather than inside cleaning? This year, tackle those spring cleaning jobs early so that spring can be a time of relaxation and enjoyment. • Polish your wooden cabinets. You don’t need to replace wooden cabinets when they lose their luster. A thorough cleaning, followed by a moisturizing polish, can make old cabinets look new. The most common method of cleaning cabinetry is with a little Woolite and water. But if you want to restore luster and shine, try a product like Touch of Oranges Wood Cleaner, followed by Touch of Beeswax Wood Preserver. Simply spray the cleaner on a wooden surface, wait a few minutes, and then rub 0000-grade steel wool in the direction of the grain. Finish cleaning by wiping the wood with soft terrycloth, then use the preserver. Cabinets will shine, giving your kitchen a spring fresh look. • Clean your carpets. Carpets can be a major trap for dust and pet hair, not to mention the salt and dried mud that have been tracked in from winter shoes. There are many professional services to choose from, but for those do it yourselfers, renting or buying a carpet cleaner can save bundles of money. The Oreck Rinse-A-Matic can shampoo, rinse and dry carpeted floors, and, as a bonus, can also rinse, scrub and dry kitchen floors. • Say goodbye to mineral stains. Mineral deposits look depressing on windows and shower stalls. And while cleaning the windows is often a warm weather job, there’s no reason to put off cleaning the bathroom. Hard water stains on glass shower doors and windows look unattractive, so remove then with specialized products like CLR, Lime Away or Bring It On Cleaner. Some hard water stains will often yield to scrubbing with white vinegar and a non-scratch pad. If you find that vinegar is ineffective, resort to stronger chemicals. Country Pride Realty is located in Pulaski, Wisconsin and services Northeastern Wisconsin with professional real estate services. We serve Brown County, Shawano County, Oconto County, Outagamie County & Marinette County. If you are looking to buy or sell residential real estate, commercial real estate, vacant land, farm land, condos, townhomes, new construction, hobby farms, acreage, cottage, cabins, waterfront or vacation property in Northeastern Wisconsin contact Country Pride Realty today at 920.822-HOME(4663)! 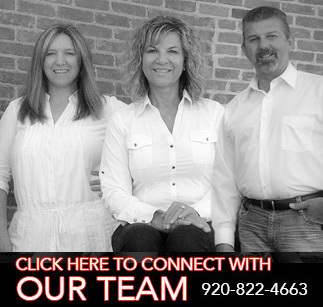 As experienced real estate professionals, Country Pride Realty will provide you with valuable resources. From precisely defining the real estate price, writing and negotiating real estate offers, keeping you informed of the real estate inventory both residential and commercial.